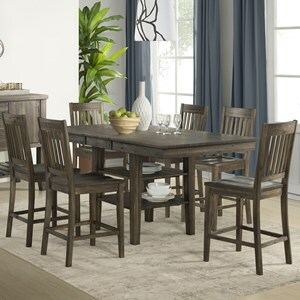 The Kingston 5 Piece Gathering Table and Stool Set by Intercon at Gallery Furniture in the Oregon, Portland, Clackamas, Washington, Beaverton, Northwest, Vancouver area. Product availability may vary. Contact us for the most current availability on this product. Give your home a fresh new look that helps you create a wholesome and welcoming environment. 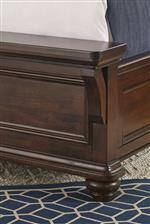 The rich Raisin finish delivers a handsome look that adds to the transitional style that you see. 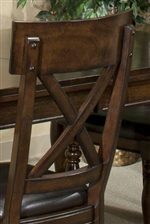 Additionally, with features like the X-back and slat back designs on the dining chairs and detailed molding on the bedroom pieces, not only will this collection will be turning the heads of your guests, but the style will flow throughout your entire home. 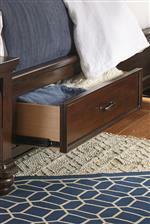 Keep your home decor simple, warm and inviting with the addition of the Kingston collection. 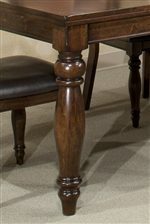 The Kingston collection is a great option if you are looking for Transitional furniture in the Oregon, Portland, Clackamas, Washington, Beaverton, Northwest, Vancouver area. 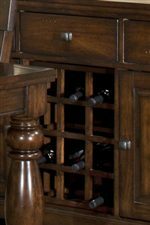 Browse other items in the Kingston collection from Gallery Furniture in the Oregon, Portland, Clackamas, Washington, Beaverton, Northwest, Vancouver area.